ANC struggle hero Ahmed Kathrada at the state funeral of former President Nelson Mandela. flickr.com. In the Defiance Campaign Trial of 1952, I was among the 20 accused who were sentenced to 9 months imprisonment, suspended for 2 years. In the Treason Trial- 1956-1961. Of the original 156 accused, I was among the last 30 who were finally acquitted in 1961. In the 1963-1964 Rivonia Trial I was among the 8 accused sentenced to Life Imprisonment. Together with Comrade Walter Sisulu and others I was released in 1989. Comrade Madiba was released about 4 months later. 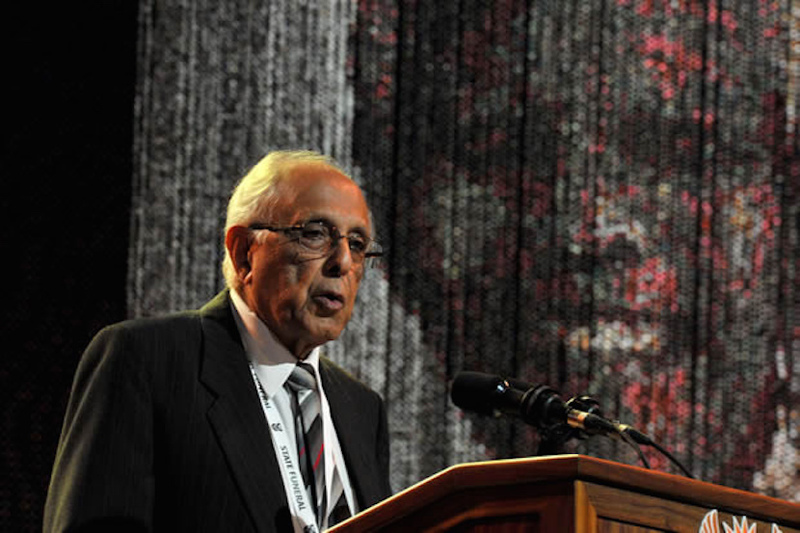 Ahmed M Kathrada – 31st March, 2016.